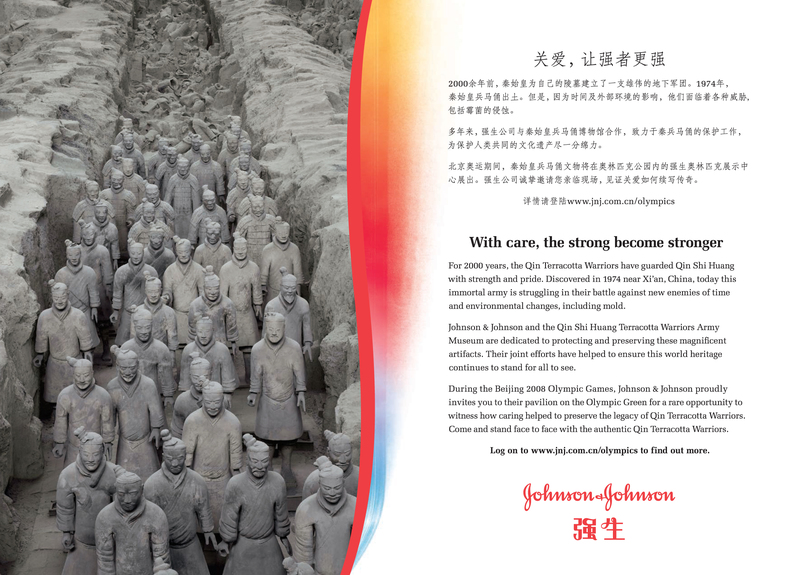 J&J-sponsored a daily Terracotta Warrior ceremony at the Beijing Olympics. I designed the signage and scrim art for the event area. 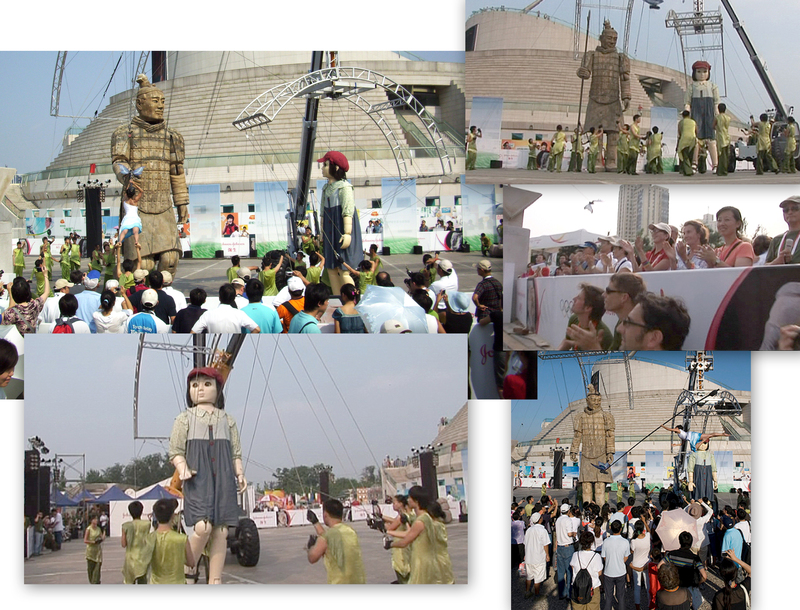 Daily perfomances featured giant Marionettes depicting a Terracotta Warrior and a Little Girl. 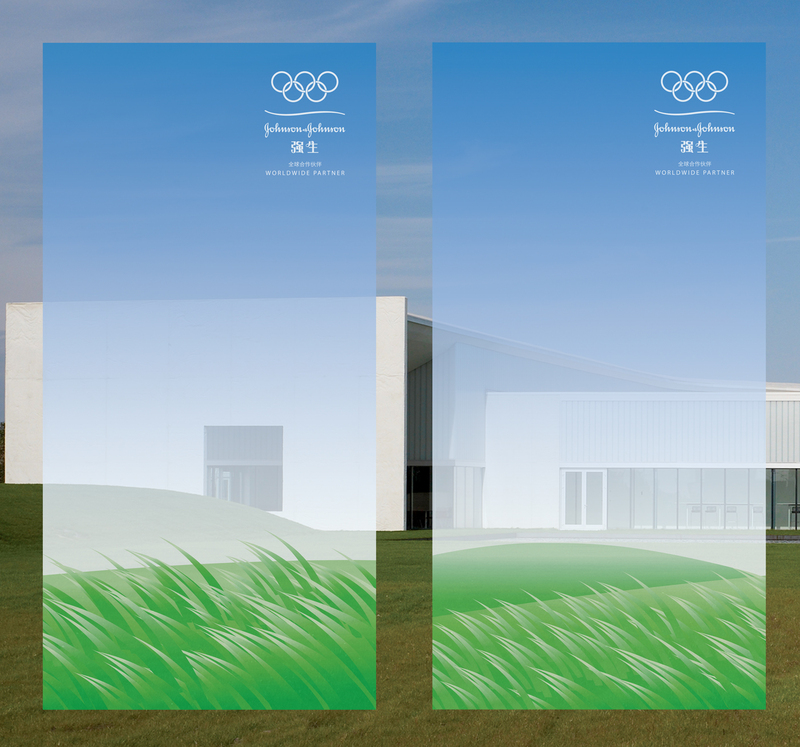 Signage and partitioning complimented the show, and featured Johnson and Johnson branding.